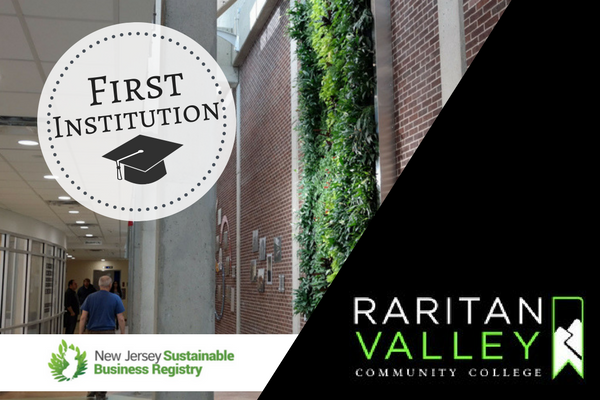 In September, Raritian Valley Community College (RVCC) became the first institution to join the Sustainable Business Registry, marking a major milestone for the registry. The college has shown its commitment to sustainability by minimizing electrical use through the usage of LED lights and occupancy sensors, upgrading to more energy efficient HVAC equipment as well as reducing water usage by using collected rainwater. The college also has installed four free and public level-2 electric car charging stations. But, sustainability actions were not a recent development for the college. Back in 2009 RVCC became the first community college to sign an Environmental Protection Agency environmental stewarship agreement. The school considers sustainability one of its four key focus areas, as outlined in its most recent Strategic Plan.